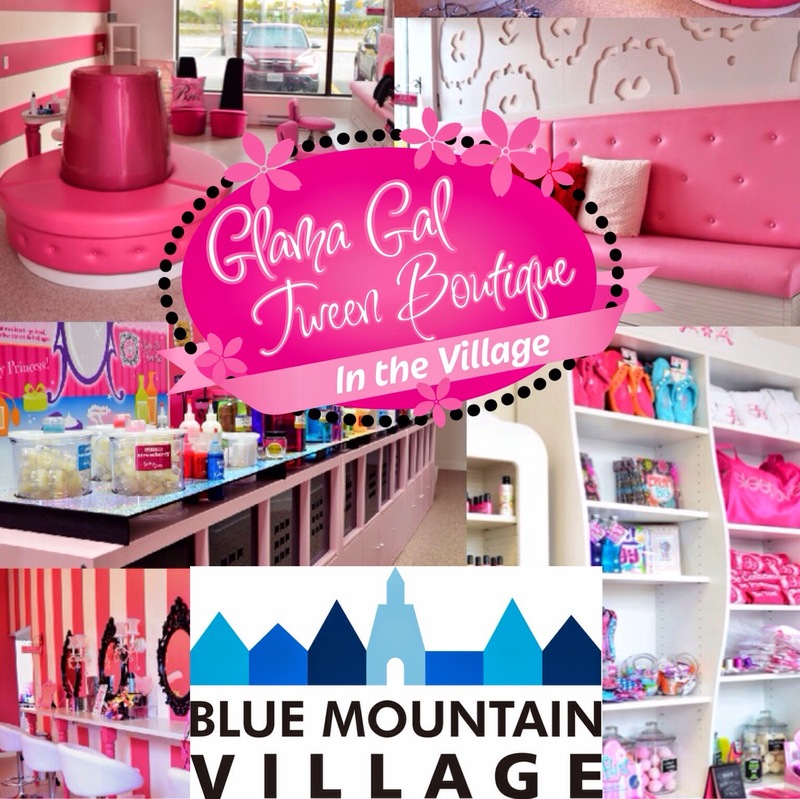 By now, you've all heard about my deep love for Glama Gal Tween Spa. In addition to being an amazing venue for Birthday parties, summer camps, and special events, Glama Gals goes over and above to reinforce their philosophy of confidence and inner beauty for young ladies. I'm also so proud and continually in awe over the owners and founders of the company: two young, female entrepreneurs who have taken a single-standing location in Vaughan to a multi-location, fully franchised enterprise. They are beautiful and kind, generous and so, so smart. It's no wonder Glama Gals does so well. It's Laura and Josie's passion, and it shows. And so, it gives me great pleasure to help announce their latest surprise. It's time for a brand new Glama Gal concept -- it's their newest, shiniest, most posh location to date....and it's coming to....BLUE MOUNTAIN! You heard right! In addition to locations in Ajax, Markham, Vaughan, Toronto, Sudbury, Newmarket Oakville and Barrie, Canada's foremost provider of tween spa services and self-esteem workshops will now also call Blue Mountain Village Home. • First-ever Glama Gal Doll Spa so dolls can be pampered, too! • Drop-in craft sessions with unique and engaging workshops like Nail Design 101, Be You Workshops, trendy jewellery making and more! If you haven't been to Blue Mountain, it is an ideal location for a mini getaway or even a full fledged vacation. In addition to water activities, great restaurants and boutiques, it's only a couple hours from Toronto and close to some beautiful beaches, too. It was always child-friendly, and now it's Glama Gal friendly, too. I guess we're heading up to Blue this summer! I can't wait to spend an afternoon with Isabelle at the new Boutique. I can just picture it now: sipping mocktails overlooking the beautiful Blue Mountains, making our own sparkly lipgloss and taking a walk though the Village sharing a Beavertail. Disclaimer: I am a Glambassador and receive special perks as part of my affiliation. The opinions expressed on my blog remain my own.